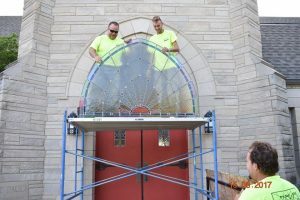 Started a new project for the awesome folks at Iowa City UMC. 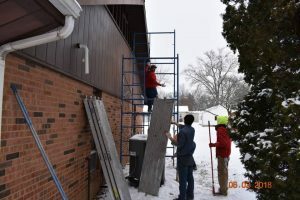 The weather was not ideal-Monday morning we had temps around -5 with brutal wind chill temps at -20. 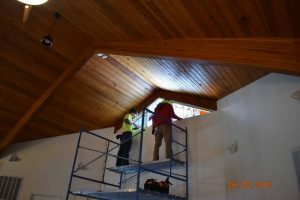 Thankfully most of our work was on the interior of the church during this visit. 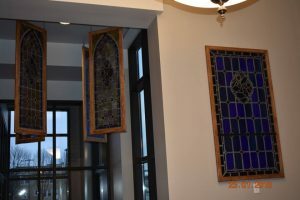 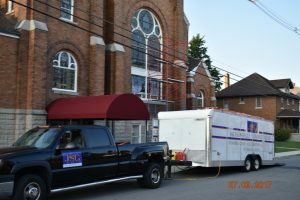 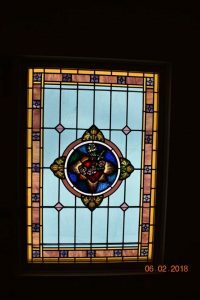 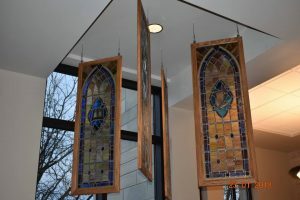 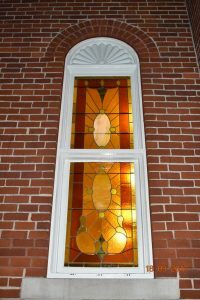 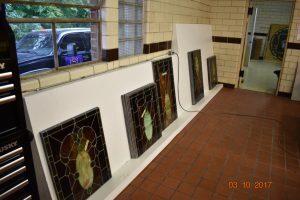 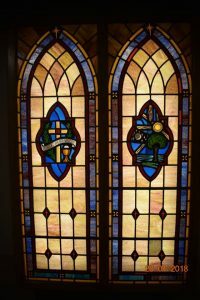 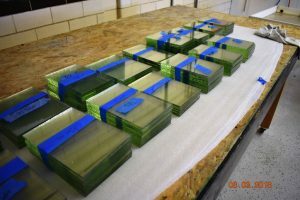 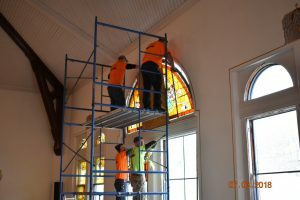 We extracted stained glass from three openings on the west side of the church and transported them to our studio in Jacksonville. 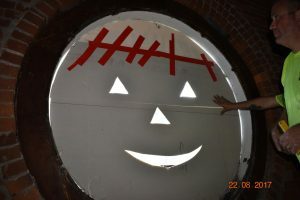 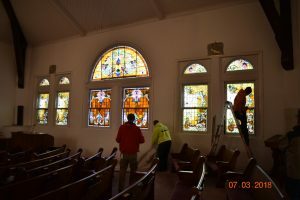 We certainly hope to have an event where the church can bring a few people to see their windows being restored. 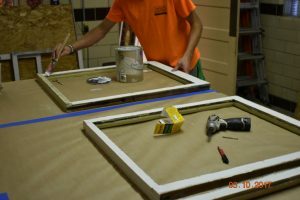 We love to show off of our studio and our talented craftsmen! 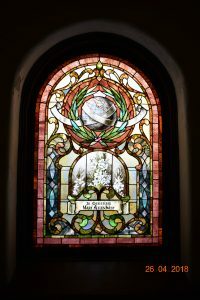 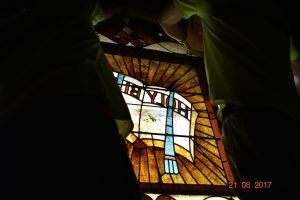 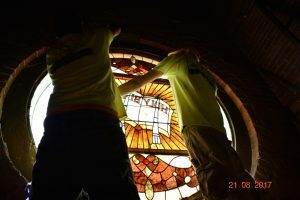 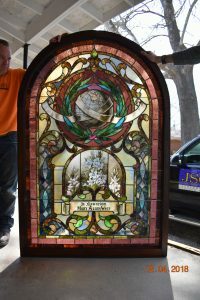 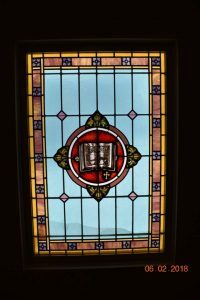 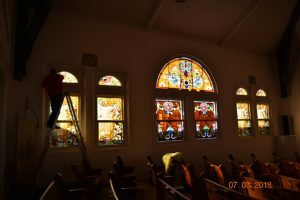 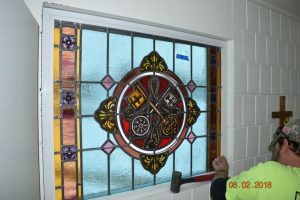 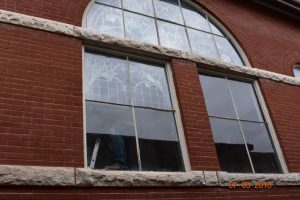 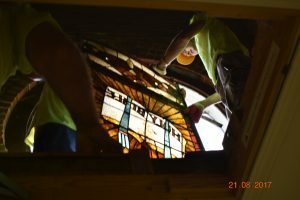 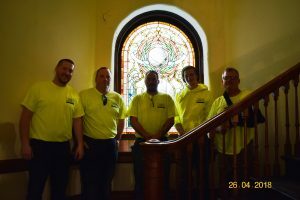 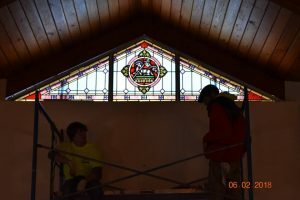 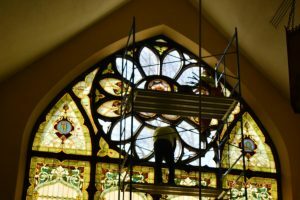 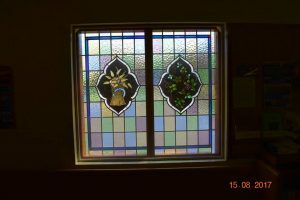 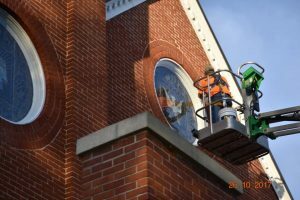 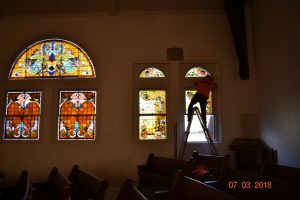 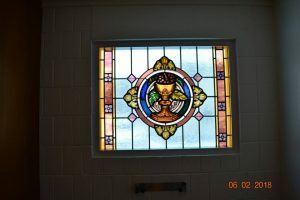 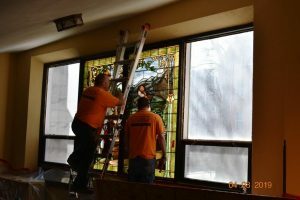 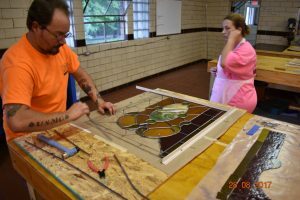 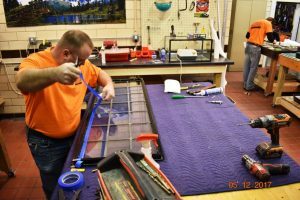 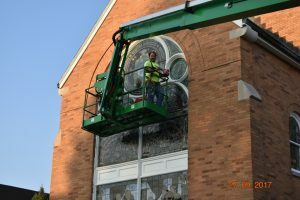 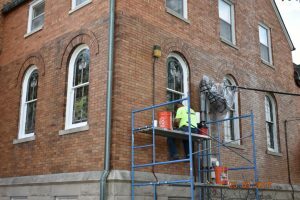 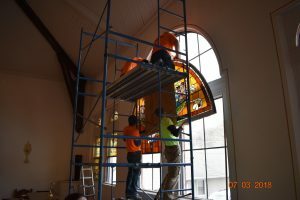 We had the wonderful opportunity to restore the Mary Allen West Window for our friends in Galesburg. 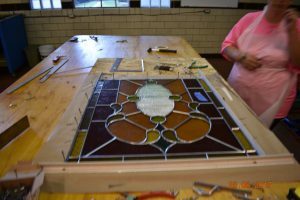 It is a beautiful panel that will be admired for years to come! 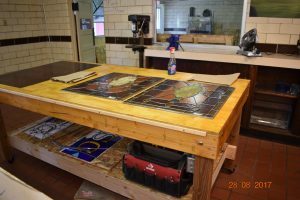 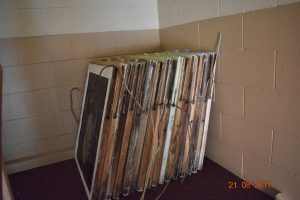 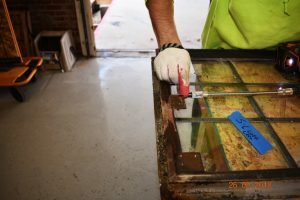 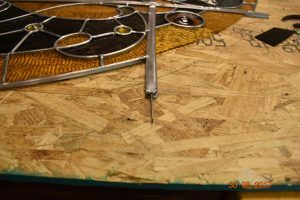 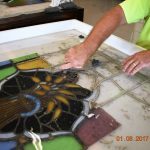 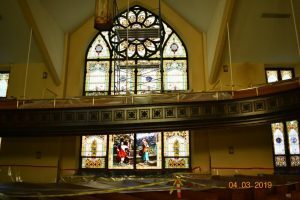 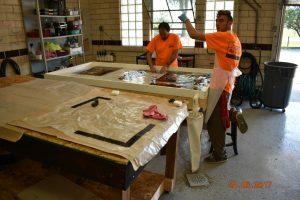 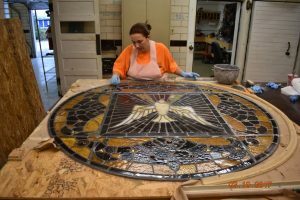 March 2018 finds Jacksonville Stained Glass at First Pres to extract windows for full restoration work in our Jacksonville studio. 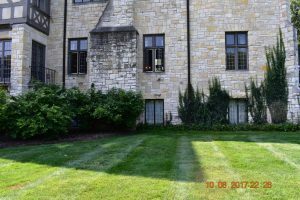 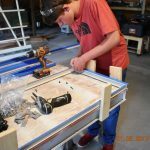 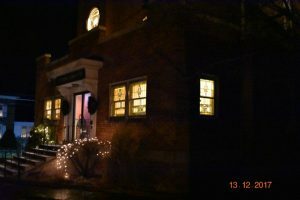 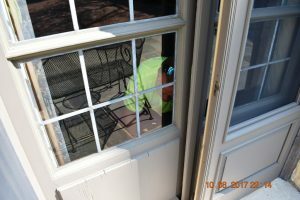 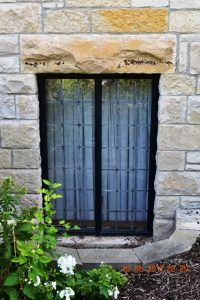 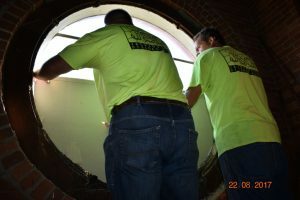 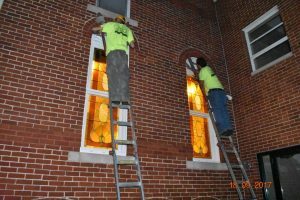 Our journey with our Missouri friends began several years ago with small restoration work on a couple of windows. 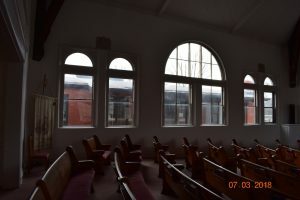 The new scope of work includes most all windows in the nearly 100 year old church. 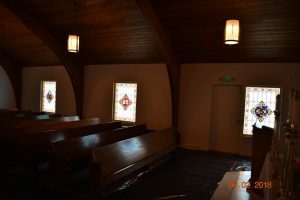 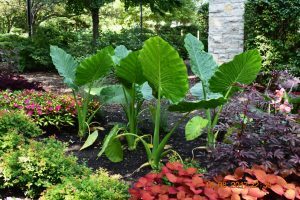 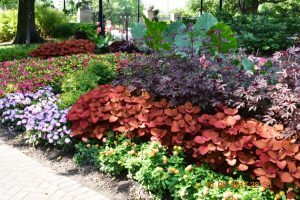 Check out the photos below and return often for updates. 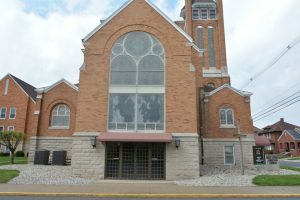 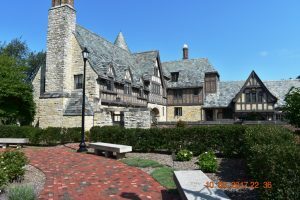 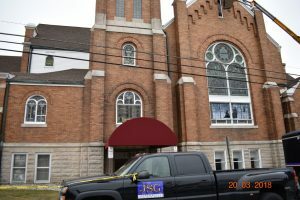 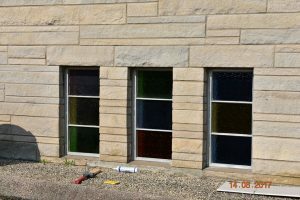 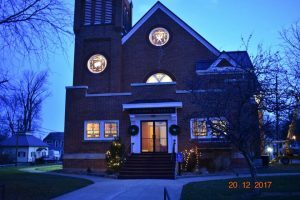 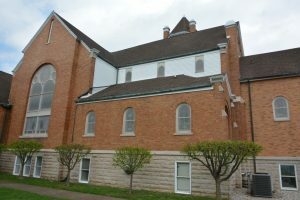 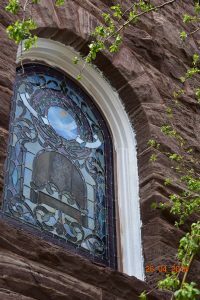 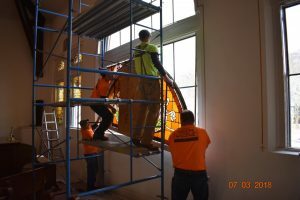 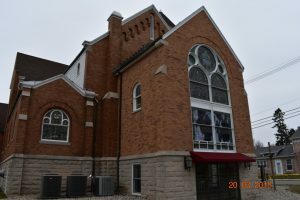 This was a unique project in that the windows themselves originally came from Immaculate Conception in Streator, IL. 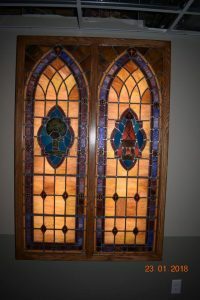 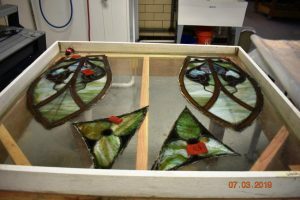 We removed them from there and brought them back to the studio to repurpose and redesign them to fit St Mary’s Church in Lewistown, IL. 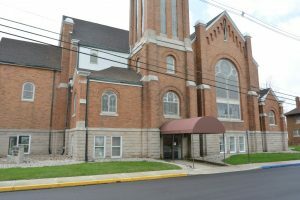 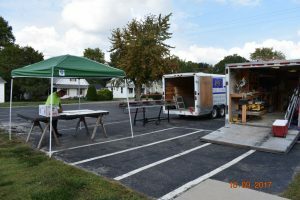 The last two weeks of September 2017 found us in the quiet little town of Tipton, IN. 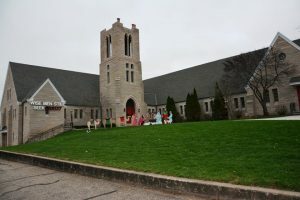 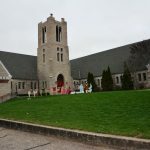 Located a few miles North and East of Indy, Tipton is the home of West Street Christian Church. 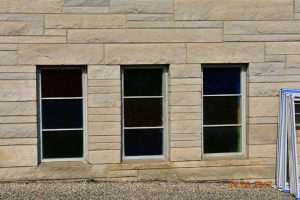 West Street Christian Church has some very beautiful stained glass windows, but the exterior plastic coverings have deteriorated to the point where the windows cannot be seen from the exterior of the building. 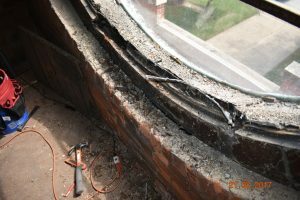 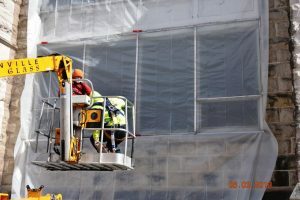 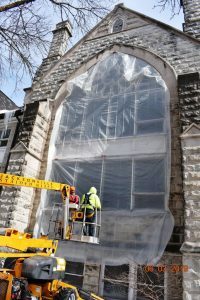 Much needed partial restoration work will be completed on 27 window openings. 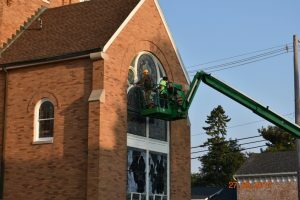 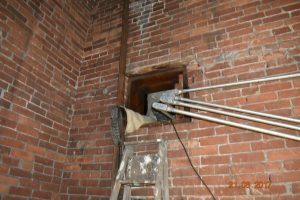 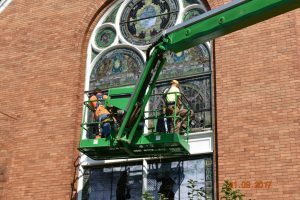 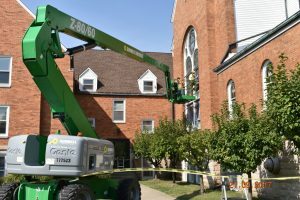 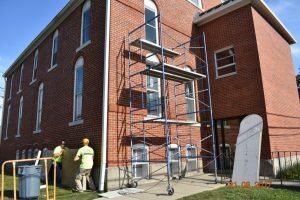 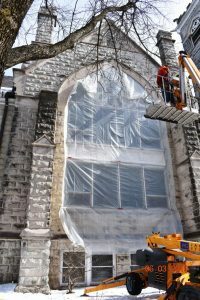 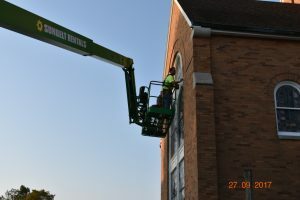 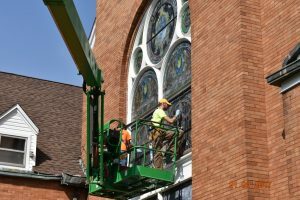 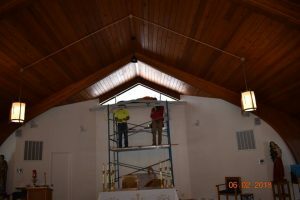 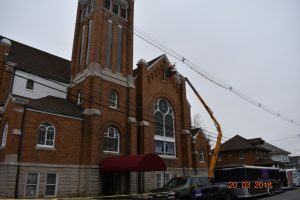 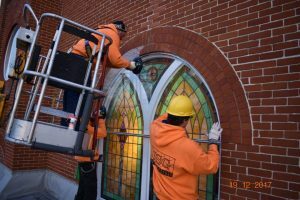 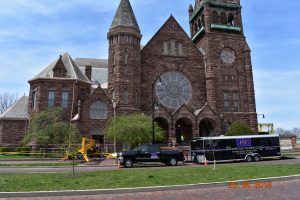 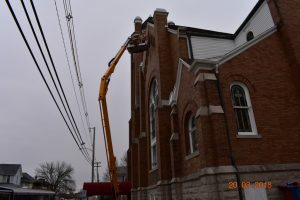 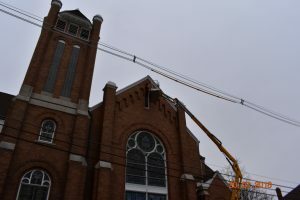 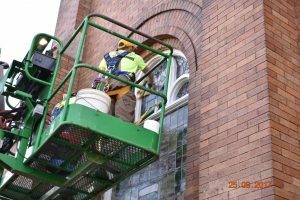 The partial restoration work will provide the church with 40-50 years of additional life for their windows. 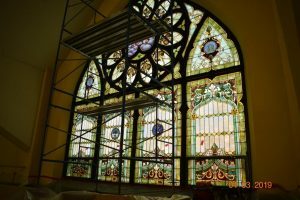 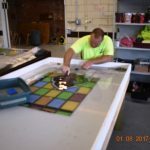 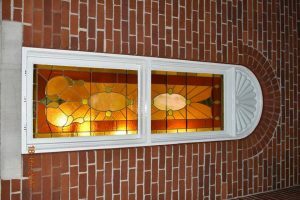 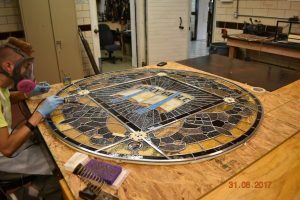 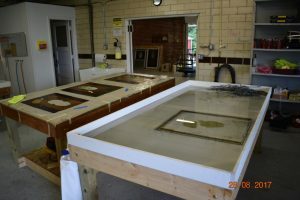 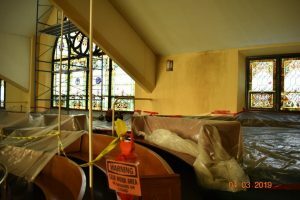 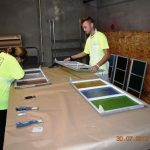 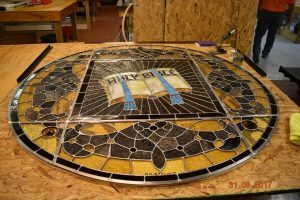 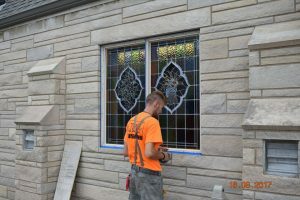 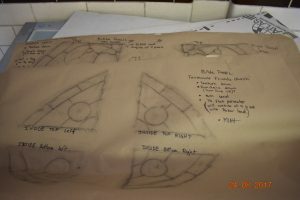 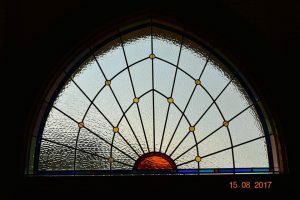 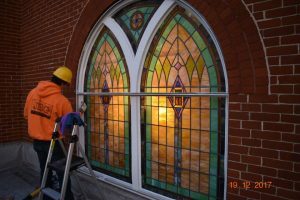 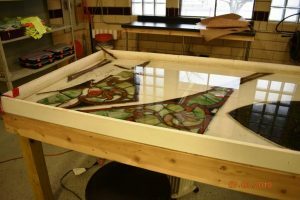 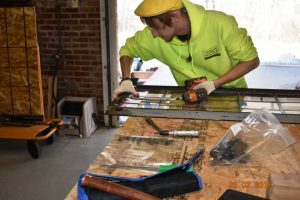 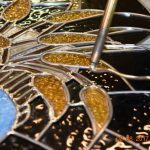 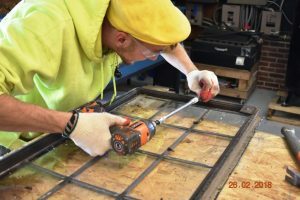 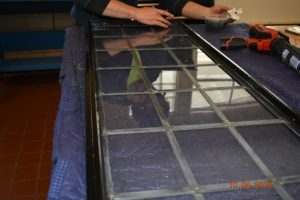 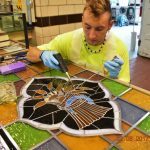 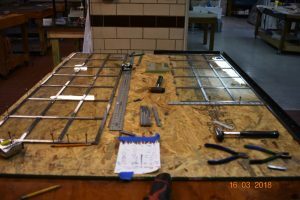 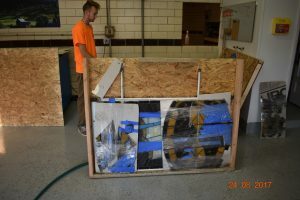 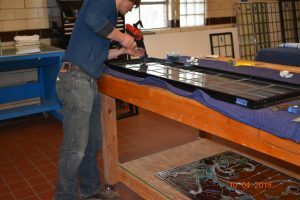 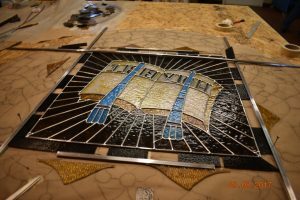 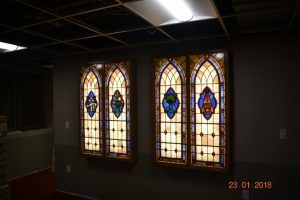 The custom fabricated storm glaze framing will complete the project and make the stained glass windows shine bright again! 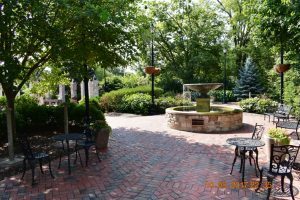 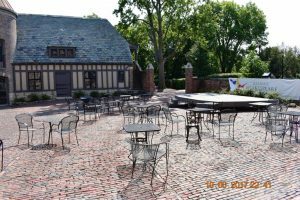 August 21, 2017 finds us in Fairmount, IN, the home town of James Dean! 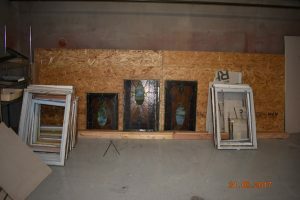 We are partnering with Ann Willis, owner of Cat Tails Art Glass Studio on this restoration project. 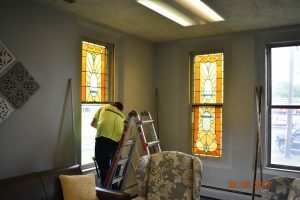 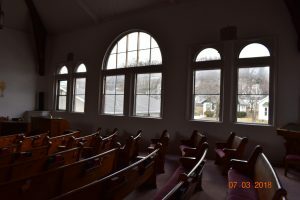 We will be addressing 74 total windows throughout the church. 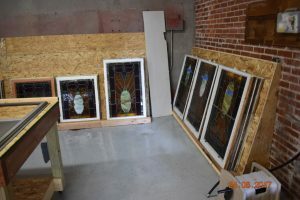 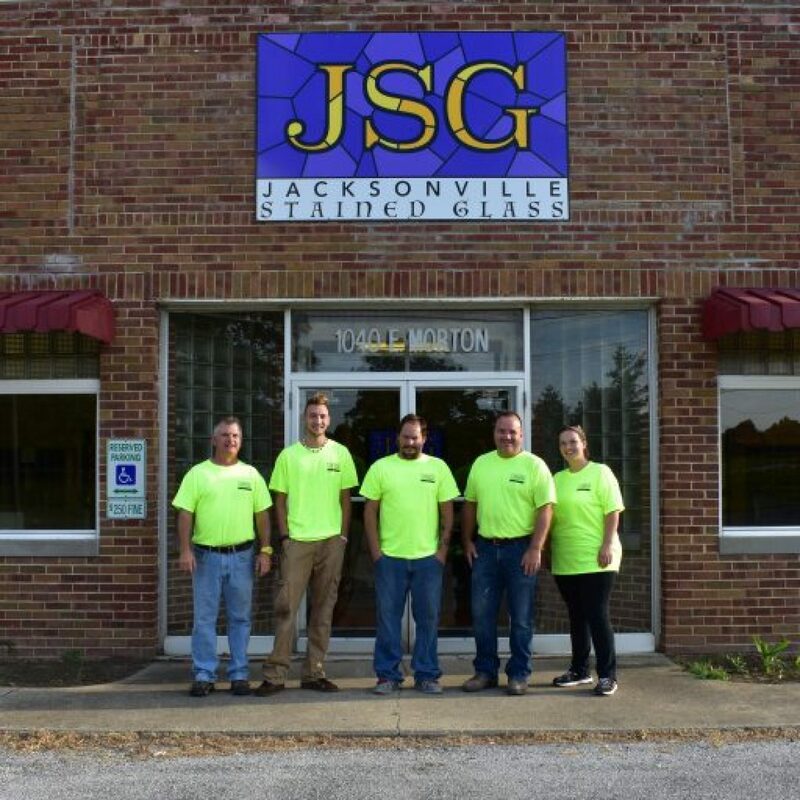 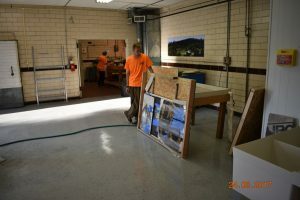 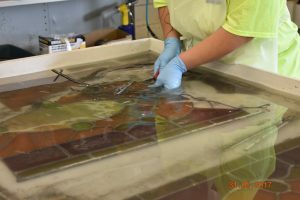 Most of the windows will receive full restorations at Jacksonville Stained Glass and Cat Tails Art Glass Studio. 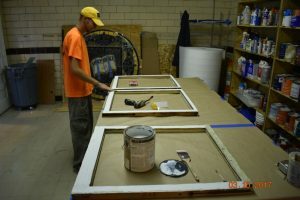 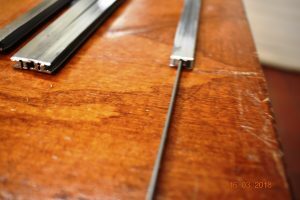 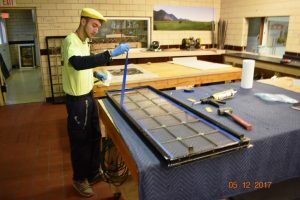 All windows will receive custom fabricated storm glaze coverings. 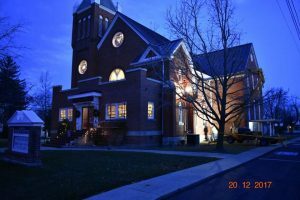 We feel very blessed to become friends with Tim Small and the folks at Fairmount Friends Church. 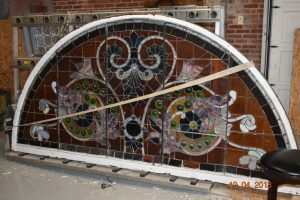 Check back here often for updates on progress on the project. 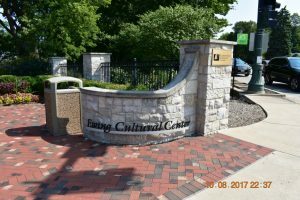 Bill and Ron make a visit to see Toni at Ewing Cultural Center on 8/11. 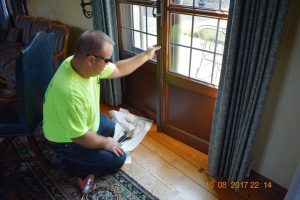 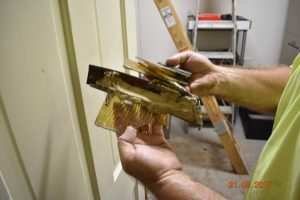 Bill used his skills to adjust a couple of doors for proper closing. 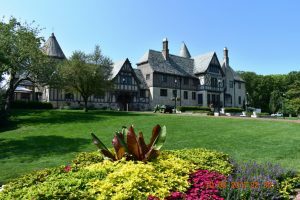 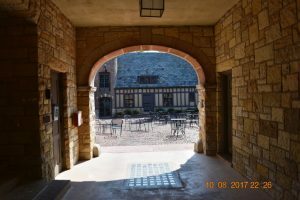 I mainly walked around the beautiful grounds, taking photos! 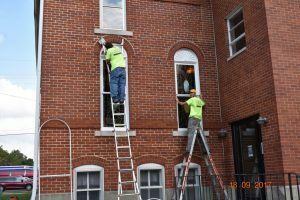 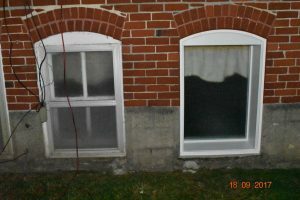 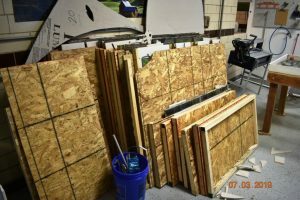 Getting ready to start on the four basement windows in October.